Amy and Sheldon's relationship takes a surprising turn during a game of "Dungeons & Dragons"; Lucy and Koothrappali have an awkward date. 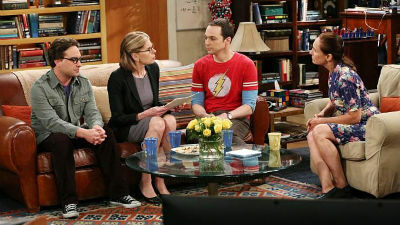 Howard considers whether or not he should open a letter from his father; Penny and Leonard host a "grown-up" cocktail party. 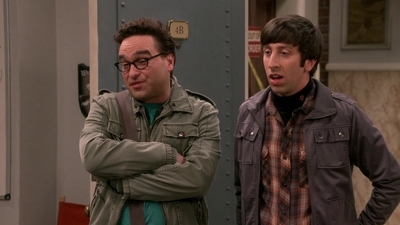 Bernadette runs into her ex-boyfriend while attending a science event with Wolowitz. Christy encourages Bonnie to go out with a great new guy, Adam, only to find out he’s not as great as she thought. When Leonard gets minor surgery on his nose, Sheldon is the one in need of sympathy. Meanwhile, Raj's parents' impending divorce causes Howard and Bernadette to work on their own marriage. Christy helps Jill adjust to being a new foster mother, and Bonnie has trouble convincing tenants that she’s a good building manager. 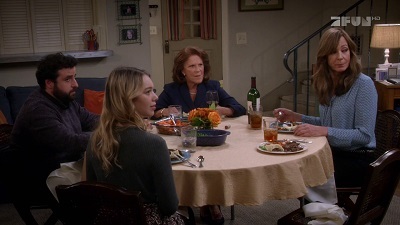 Christy hosts a family dinner attended by Violet’s future mother-in-law, who is hard to please. Steve wants to take his relationship with Bonnie to the next level. 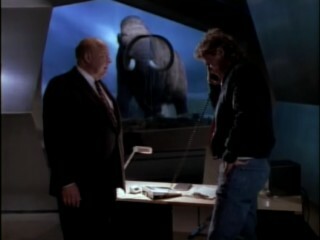 Frantic with worry about his gravely-ill Grandpa Harry, MacGyver experiences a strange near-death phenomena, seeing his parents again, when he's injured by a man who's stolen an ancient Egyptian relic. Sheldon hires Stuart to spend the day with Amy when he’d rather go to a movie screening. 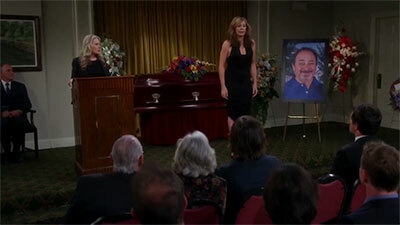 Also, Leonard’s mother, Beverly, comes to town and Penny struggles to make a connection with her. An unexpected death rocks the Plunkett household. Gabi is freaking out about why Josh called the wedding off and searches for a sign if she should be with him or Cooper, but it's Sofia who makes a surprising discovery. Meanwhile, Elliot has a big date with the wedding florist and ends up bringing a forlorn Josh along. Wolowitz questions his engineering abilities when he and Sheldon can’t get a toy drone to fly. Meanwhile, a cancelled flight nearly prevents Leonard from giving the commencement address at his former high school, and Raj pits his parents against each other when his father cuts him off financially. Christy and Bonnie worry when they find out that Violet’s new boyfriend is old enough to be her father. 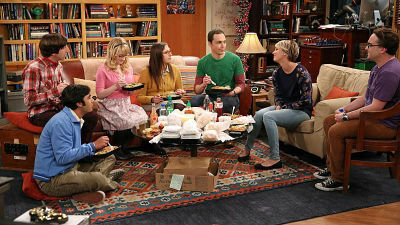 Personalities collide when Sheldon and Leonard’s mothers finally meet. Meanwhile, Howard finally decides to “man up” and do his fair share of the housework – but not without a little help from his friends. Amy is offered a Fellowship at Princeton, Raj makes new living arrangements, and the gyroscope project is spinning out of control! Christy and Bonnie face temptation when Bonnie is prescribed pain medication for a back injury. When Max reconnects with an old friend, Caroline’s jealousy inspires her to try to make some new friends of her own. When Max decides to head to Los Angeles to win back Randy, she and Caroline embark on a cross-country road trip with Han at the wheel. 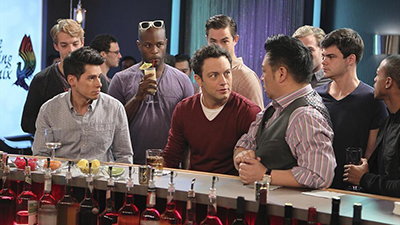 Also, while Han and the girls are away, Oleg takes charge of the diner, and Sophie fills in as a waitress.